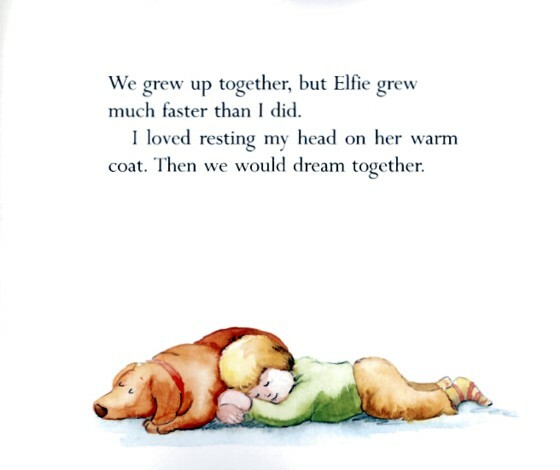 PreSchool-Grade 2 In this gentle, moving story, Elfie, a dachshund, and her special boy progress happily through life together. When she is young, Elfie is full of pep and pranks; but as her master grows taller and taller, Elfie grows fatter and slower. One morning Elfie does not wake up. The family grieves and buries her, and the boy refuses a new puppy. He is not yet ready for another pet; but when he is, he will tell that one, as he told Elsie every night, "I'll always love you." The watercolor illustrations, tender and warm in color and mood and cozily rounded in form, suit the simple text perfectly. Elsie's gradual change from a lively mischief-maker to a portly old dog is treated with a sweet humor. 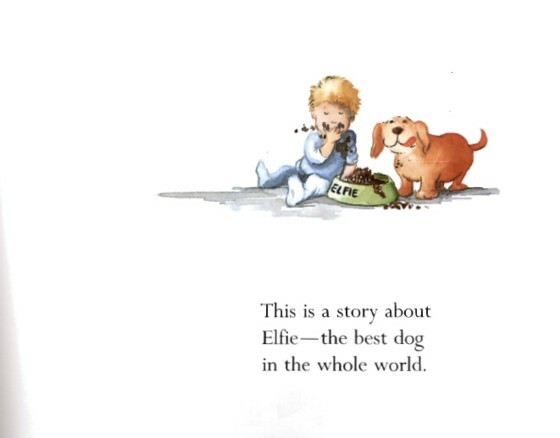 Viorst's The Tenth Good Thing About Barney (Atheneum, 1971) and Cohen's Jim's Dog Muffins (Greenwillow, 1984) also treat the loss of a beloved pet with great understanding, but anyone who has or ever had an old dog in the family will be especially touched by this book. Pat Pearl, First Presbyterian Church Library, Martinsville, Va.
A boy and his chubby hound, Elfie are the closest friends. They share developmental milestones and secrets. The gentle illustrations show the bond between the two; in one picture, the boy, then barely more than an infant mounts a toilet seat while his dog tinkles on the floor. The parallel between the two and their developmental milestones from pup to dog and from toddler to older child are beautifully chronicled. As Elfie ages, she is no longer able to romp and play. Her stiffened joints and fatigue are taxed on her advanced age. She is taken to a kindly vet, who says that he cannot treat her, but the best thing to do is make her happy and comfortable. Elfie eventually dies and the boy sadly buries her after openly sharing his grief. He vows that he will tell every pet he owns that he will always love that animal. 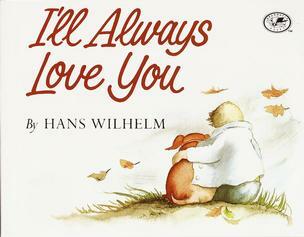 A wonderful book of healing and bonding; truly the best book dealing with the death of a pet that I have come across. I think the message of telling a loved one, human or pet that you will always love them is a lesson worth learning. Thank you, Mr. Wilhelm! 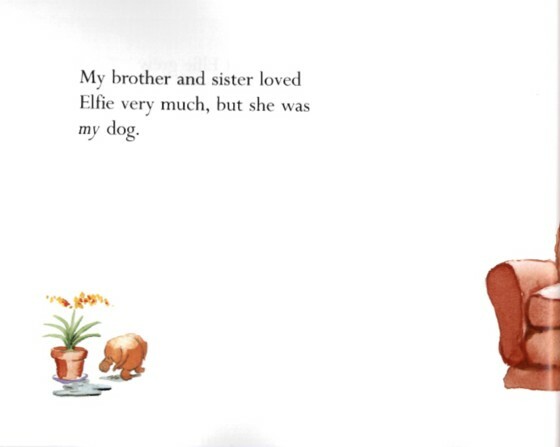 This is a story about Elfie- the Best dog in the whole. Or a kitten or a goldfish.